What other sorts of islands would you like to see in Island Expeditions? Of all the additions in Battle for Azeroth, I think I find Island Expeditions to be the most interesting. Why? It’s not because Island Expeditions offer an experience that (theoretically) promises to be different pretty much every time. Nor is it because they’re a return to the role-agnostic three-man scenarios from Mists of Pandaria. Rather, it’s because they offer a tantalizing glimpse at a world beyond the “major” continents we traverse throughout most of our playtime. It’s something I appreciated — and really miss — about Strand of the Ancients. These small islands feel like Blizzard can give us ecosystems that, if not completely new, offer a different look at ones we’ve seen before. For instance, the Dread Chain has a very “Northrend” vibe to it while at the same time being a unique enough place to feel like special. It’s a shame, then, that Island Expeditions only allow us to visit seven different locations right now. Moreover, it feels like Blizzard hasn’t fully tapped into their ability to go wild with these different islands. I’d say the Dread Chain above is the closest to feeling like Blizzard went outside of their comfort zone on what an island could be (unless Havenswood ends up showing its face in the near future). But I want them to do even more! 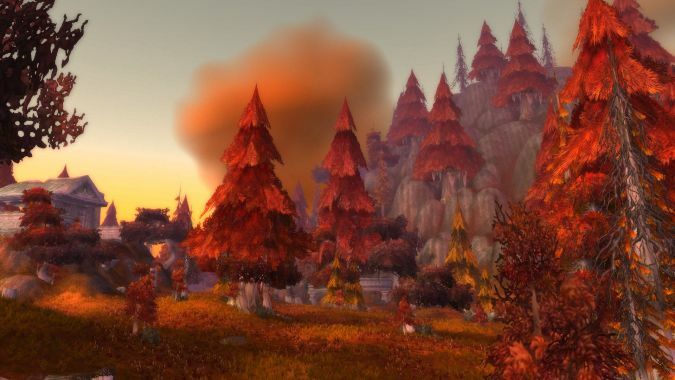 Can you imagine an entire island that looks like the pre-Cataclysm version of Azshara? Maybe it’s not exactly Blizzard going crazy with the design, but it’s absolutely something I’d love to see, even if just during Island Expeditions. Or what about an island reminiscent of AU Shadowmoon crossed with Deepholm? Would it need to be backed by explainable physics? I don’t really think so — I just want to see the team designing these environments to let their imaginations run wild. Maybe I’m alone in this, maybe I’m not. If you would also like to see different types of islands added as Island Expeditions, what would those islands look like? What’s the coolest/craziest/most underused sort of environment Blizzard could put together for us to explore?